The Ohio Bureau of Motor Vehicles allows individuals to obtain a copy of their driving record report in Ohio. The report is available as a three-year report, also known as a driver abstract, or as a two-year unofficial driver record. Individuals will be able to view accident involvement reports, moving violation convictions, and other violations or actions that caused a license suspension or revocation. Each motorist receives a driver record that is fully consistent with the Ohio point assessment and suspension system. It is important to obtain a copy of your Ohio driver’s license history periodically to make certain that the information contained there is accurate. What is on My Ohio BMV License Record? Checking your Ohio BMV license record is recommended by the Ohio Bureau of Motor Vehicles and should be done at least once every three years. You can obtain an Ohio DMV license record right here online for the maximum amount of convenience. If you are wondering what is on your Ohio BMV license record, the following information will provide clarity. How To Get My Driving Record in Ohio? Drivers wondering how to get their driving record in Ohio can obtain an official copy of their record from the Ohio Bureau of Motor Vehicles. However, the process is very lengthy and involves waiting in line, filling out forms, and then waiting days to receive the OH BMV license history. Alternatively, individuals can also obtain an MVR report online in Ohio which is a much faster process. We can provide you with an up to date version of your driving record pulled directly from the Ohio BMV database. To get started, fill out a request form and we will send your OH drivers license history to you by email. What Will You Find on Your Ohio Motor Vehicle Report? Your OH MVR report from the Ohio Bureau of Motor Vehicles contains a full and comprehensive listing of all of the facts related to your driving record. Depending on where the report is obtained, you may have a comprehensive and detailed summary or a partial outline of your entire driving history. 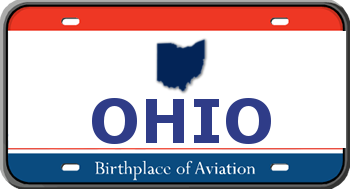 The Ohio Bureau of Motor Vehicles maintains a database with each motorist’s driving history. This report may include points that were assigned to your license based on any violations which took place while you were driving. A specific point value is associated with particular offenses and after awhile these points can accumulate. Individuals who would like to know how many points are on their OH license can do so by requesting a copy of their Ohio MVR. This report will display information about any points that have been assigned to a particular license. Once a driver in Ohio has amassed 12 points or more on their driving record, the result is a suspension of the driver’s license. Drivers wishing to avoid a suspension can remove 3 points from their licenses by enrolling in a defensive driving course. For drivers wondering how to get a copy of your OH driving record, you can obtain a copy directly from our website online. To request an OH DMV record printout, simply fill out our short form to get your copy emailed today. How Do Ohio DMV license points Affect Me? The points assigned to your driver’s record will add up over time. Eventually, too many points can result in your license being suspended or completely revoked. In addition, insurance companies tend to charge higher premiums to drivers with a high number of points. This is why it’s important to regularly check your Ohio driver history to make sure that all of the information listed there is completely accurate. After accruing 12 points or more on your driver history report, your license will be automatically suspended in Ohio. Ohio drivers who are concerned about the amount of points on their licenses are able to request a copy of their Ohio BMV record. 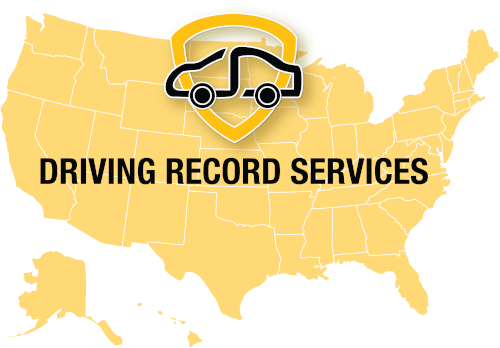 If you are wondering how to get Ohio driving record, our convenient and fast online service is available for instant online delivery of your driver record report. Points displayed on your BMV driving record in Ohio can be removed upon request if they are erroneous. Alternatively, drivers can also enroll in traffic school to receive a 2 point reduction from their driver’s license record. It’s important to try to remove points from your license in order to lower your insurance premiums. Insurance companies charge higher rates when they think a driver will pose a risk. However, by reducing the points in your OH DMV report, you can have a better chance of getting more competitive insurance rates. Why Check Your Ohio Driving Record? There are many reasons why it is advisable to look into your own driving record in Ohio. By checking your Ohio driver’s history, you are taking proactive steps towards finding any information that is negatively affecting you. If you are unsure as to whether or not your Ohio driver’s license is suspended, it is a good idea to check your DMV record in Ohio. With a copy of your BMV record, you can find out the status of your license including whether it is active, suspended, or if it has been revoked. To find out about prior traffic violations on your Ohio DMV driving record, you can obtain a copy of your driver’s license record. Your personal driving history will contain a list of any prior traffic violations and reports on any major moving violations that took place in Ohio. Potential employers often pull an applicant’s driving history report to establish character regarding the individual’s level of responsibility. To make sure future employers get the best picture, it is advisable to check your driving record ahead of time. Learning about the number of demerit points on your driver’s license history report is much easier when you have an actual OH h6 printout on hand. By ordering your report, you can find out how many points, if any, are on your license as well as whether or not you may be in danger of a suspension or revocation. In Ohio, insurance companies view an abridged version of a motorist’s driving history report to make certain risk assessments prior to extending insurance coverage. It is recommended to obtain a copy of your driver’s history report so you can make any needed changes that can help with lowering your insurance premiums. Where to Get an OH DMV Printout? At 4safedrivers.com, we have been providing BMV driver’s license record services since 1999. We make it simple, fast, and convenient to get the information you need about your driving history. Just by filling out our simple online form, you can receive your complete driving record as reported by the Ohio Bureau of Motor Vehicles. We know your time is valuable and that is why we have made it as simple as possible to get your driving record sent to you quickly and conveniently. With our direct online service, your Ohio BMV history report will be securely delivered to you by email. This should take just a few minutes and allows you immediate access to your full report as maintained by the Ohio BMV. How Accurate Is My Personal Ohio Driving Record? The Ohio Bureau of Motor Vehicles has a comprehensive database of each driver’s history. We offer access to the same exact records maintained by the Ohio BMV, not just a general public record. This allows you to receive an updated and accurate OH driver’s license record that has the most current information. With over 20 years of experience in the industry, you can rest assured knowing that we have finetuned the process of delivering driver’s license records online. We stand behind the quality of our service and ensure the accuracy of your driving history report. With our secure service, you can get a copy of your personal Ohio driving record that has been recently updated by the Ohio BMV. In addition, we also verify your identity online to make certain that it is really you that is requesting access to your driving record. Place your secure order today and benefit from knowing exactly what is contained in your Ohio BMV report. Don’t delay, find out the relevant information that you need to know for a better chance at employment and to obtain lower insurance premiums.